Goji juice is made from goji berries, also know as wolfberries. Native to China, the Himalayas, and Tibet, the berries themselves are slightly bitter tasting. 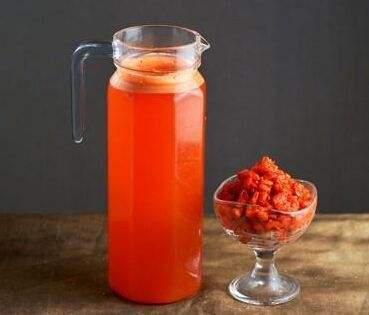 When made into juice, the flavor becomes more of a sweet and sour mixture. Almost all berries, including the goji, contain antioxidants that help the body ward off diseases such as cancer and heart disease. Looking for ideal Fruit Juice Of Goji Manufacturer & supplier ? We have a wide selection at great prices to help you get creative. All the Health Drinks of Fruit are quality guaranteed. We are China Origin Factory of Drinks Raw Material. If you have any question, please feel free to contact us.